From the dramatic geological features of our coastline through early Maori settlement, subsequent European development and more recently surfing and tourism, Kaikoura has been shaped and influenced by the abundant marine life and spectacular ocean on its doorstep. Come and explore our collections and read the stories to discover more about the distinct history of this special place, its people and their journey to where we are today. With high mountains, narrow plains, rocky coastline and deep sea trenches, Kaikoura is one of the few places on earth where so many complex systems stand so visually interconnected. From bugs to bats, dinosaurs to dolphins Kaikoura is, or has been, home to a diverse population of creatures. 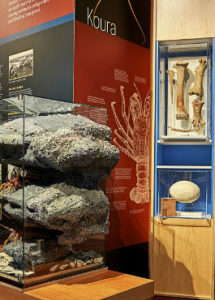 These can all be discovered through our impressive fossil collection, marine specimens, extensive collection of birds eggs and chronicles of our natural history. entire Kaikoura coastline was highly populated by iwi Maori. 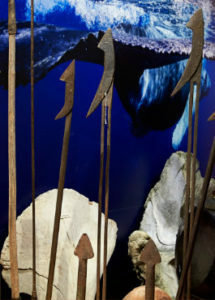 The Museum holds a wonderful collection of Taonga Maori highlighting their skill at turning various types of wood, rock and bone into multipurpose utensils and implements. 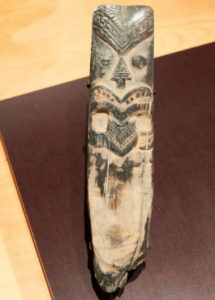 The collections also includes examples of Maori textiles, craft and design. social history from Maori and later European settlement is told through objects, items and stories relating to the development of trade, transport systems, communications, and some of the people who helped to shape the history of this region. and European settlement alike were encouraged by the abundant marine life along the Kaikoura coastline. Learn about how fishing and whaling helped shape the development of this seaside town and how our unique marine life still plays a vital part of our economy by attracting tourists who come to see whales, seals and dolphins and to surf our world class breaks. have a number of interesting, sometimes quirky and uniquely Kaikoura features. 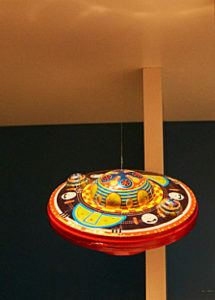 These include a fully restored cabin from the Taiaroa ship that sank off the Kaikoura coast in 1886, a two roomed jail with a padded cell (believed to be one of only two left in New Zealand) with its own resident ghost, footage of the 1978 Kaikoura Lights (our very own UFO story) and a replica of the largest intact Moa egg ever found which was located right here in Kaikoura. 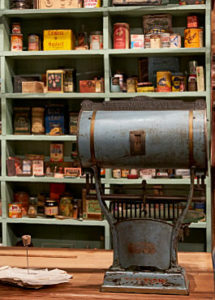 Museum holds over 40, 000 photographic images that serve to illustrate our diverse history. Many of these can be viewed in our ever popular photograph books which are themed on various topics from around our region and held in our research room for all to access. 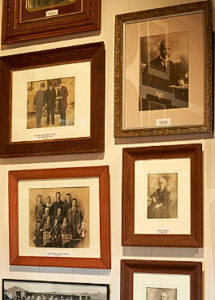 We have a comprehensive index of all of our photographs so that you can look up topics, people or places of interest. Copies of photographs can be purchased but conditions do apply. For more information on prices and our photograph policy please contact us. 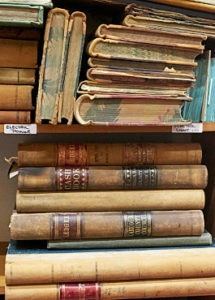 Museum holds the district’s archives which include an extensive collection of documents, maps, journals, history books and other archival items relating to our region’s history. We house information relating to Kaikoura clubs, societies, schools, businesses and other entities. We also hold information gathered on many early Kaikoura families for those researching their family trees. This material is catalogued and we have a comprehensive index system to assist with research and study projects as well as knowledgeable staff who can help you locate what you need and a wonderful research room for researchers to utilise. Our exhibitions and collections are a valuable resource to support learning across a range of curriculum areas and education levels and we warmly invite schools and groups to visit us as part of their teaching programmes. Please contact us to make a booking or to discuss your particular learning needs. We have a research service available to help people access our vast collections and archives which hold a wealth of information for those wanting to explore topics relating to Kaikoura. We do a free initial query to see what relevant information we have on hand and charge $20 /hour for more in- depth research. Additional charges apply for any copying or supply of photographs etc. We believe strongly in giving access to our collections to encourage a deeper understanding and connection to our history so we also welcome queries from people wanting to do self directed research.